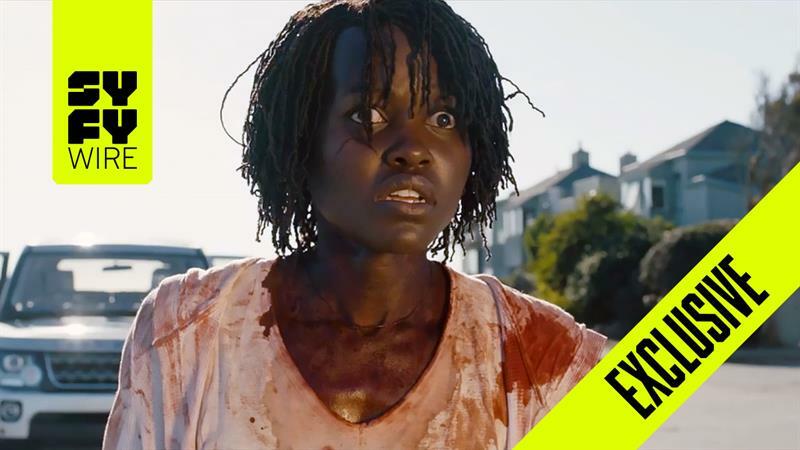 There have been so many amazing takes on Us, Jordan Peele’s latest movie, many of which leave us with more questions than actual answers. When the movie was announced back in December of 2018, many were wondering if this film was going to be another incarnation of the movie, Get Out, a film that outlined how crafty racism and oppression is in our country. But when Peele announced that the film was not about race, it left people wondering what type of social commentary this film would provide. Specifically knowing that much of the director's work is not only smart, but often points to the many ways we think and act as Americans. When watching the film for the first time, I not only saw Peele’s point about duality, but also a love letter to classic horror films. But, after watching it for a second time, I began to see the movie as being a startling reminder of how awful classism and capitalism can be, and how, if you are not wise, it can have you tethered to the darker parts of yourself. There are several moments in the opening of the movie that allude to the many horrors of classism and capitalism and how blinding it can be. As the film begins by introducing the audience to a young Adelaide (Madison Curry), we are given the idea that said character comes from what seemingly is the perfect family. As we begin to see the young Adelaide venture away from the tension that lives between her parents, Peele smartly reminds the viewers of how often at a young age, we are developed to turn a blind eye to those who are often in need. As Adelaide walks past the assumed homeless person holding a sign that alludes to the impending doom she will face in the funhouse at the Santa Cruz pier, we realize that Adelaide is just a representation of how being blind to the ways of capitalism/consumerism and classism often begins when we are young. In the film, Peele continuously nods to the ways in which we are all blinded by the need to consume. As we are introduced to an older Adelaide who seems to have the quintessential “All-American” family, there are moments Peele outlines the toxic relationships that people have with the things they want, or even with the things that we often own. From the subtle side-eye ridden comments Adelaide’s husband Gabe (Winston Duke) makes regarding the wealth of his friend Josh Tyler (Tim Heidecker), to the moments where Gabe gripes about Tyler family purchasing a new car, it becomes very apparent early on in the film that Gabe is aware of his family’s social class standing. So much, that he opts to keep up with the Jones by going out to buy a used boat that barely works — a boat that almost leads to his death. However, none of the things that either of these families owned were enough to save them from the wrath of Red and other Tethered people who live below them. One of the most telling parts of the film came during the scene where Red’s family breaks into the vacation home of the Wilson family. Beyond Gabe constantly offering up material things to Red and Abraham as a peace offering, it was Red’s response to Adelaide that’s even more telling. Upon Adelaide asking Red who her and her family were, Red responds with, "We are Americans," signifying that she is aware of the class divide between both the Tethered shadow people’s world and those that she considers "the others." On several occasions throughout the film, Peele continues to play with this notion of how damaging capitalism is, specifically after the Wilson family kills the Tyler Tethered shadow family. In the moments where one of the Tethered twins lying what we presume to be dead on the coffee table, we see Adelaide blatantly step over her to begin planning to get her family to safety (all while using the Tyler family’s brand new car to do it). This moment signifies how many view those who are “below” us, specifically those who identify as homeless or living at the poverty line. One of the smartest things about the concept in the film is how it juxtaposes what the shadow people are doing to what Hands Across America tried to do in 1986. Organizers set out to raise over $100 million dollars to try to put a stop homelessness and hunger in the U.S., inviting people to donate $10 and participate in a symbolic human chain that stretched from coast to coast. (They ended up only raising enough to donate $15 million to charity, and the event became something of a punchline.) In Us, though, the Tethered evoke this united imagery, standing together in their red jumpsuits-giving us a subtle yet important reminder of the rich history that is known as redlining. But, it’s the deeper meaning of the relationship between Adelaide and Red that is most indicative of how insidious both classism and capitalism is. At the end of the film, we are given a better understanding of who both Red and Adelaide are, where Red comes from, and why she holds so much resentment for the life Adelaide now has. As we begin to understand that the replica shadow people were created by our government and left underground to feast on raw rabbits as a means of survival, we learn that Red was the original Adelaide and that shadow Adelaide has now taken Red’s place in the outer world. In their chance encounter, it’s how joyful shadow Adelaide is in taking Red’s spot in the world that’s telling. It’s not just about a shadow seeing an opportunity to escape the terrible life she was given, but a way to escape the suffering that comes with being a second class citizen. As Vox’s Todd VanDerWerff mentions in his explanation of the film, Us is a fond reminder of how desperate we are to cling to what we have and sometimes how desperate we are to take someone else’s place in the world. While the meaning of the film is meant to have different interpretations for different people, the one thing that remains universal is how horrifying it is to know that both classism and capitalism has made all of us the same people.